The 'breakthrough' derives from the return to using my own drawings and paintings as inspiration for my work and this piece was based on that work. 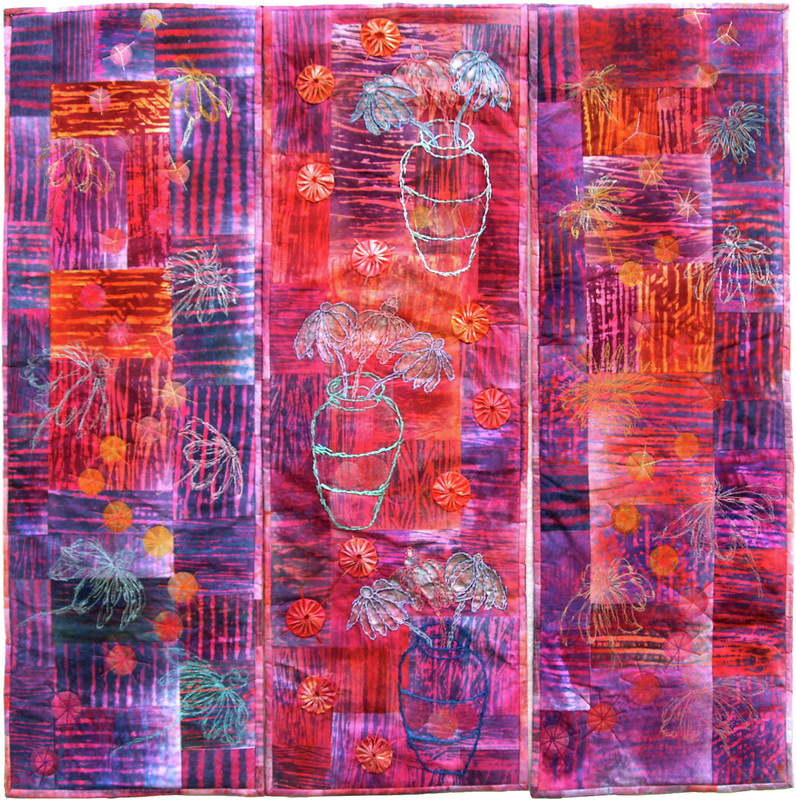 A further personal 'breakthrough' was participating for nearly two years in the Journal Quilt series. Further inspiration derived from Bill Scott's and Frank Bowling's pictures; from Sandra Meech's latest book Connecting Art to Stitch; and from the latest round of Journal Quilts. Techniques used include disperse dye monoprints onto Evolon, Lutradur circles with disperse dye transfer, free machine embroidery, decorative stitchery for the pots and flowers, as well as various mediums. The work is intended to be free hanging as three separate but partly joined panels, and the triptych format was chosen to give a free-flowing effect.